Intriguing due to the complexity of the dance as well as the music, Argentine tango provides an unique opportunity to connect with people as well as another culture. Come join us for an experience that is sure to heighten your confidence, creativity, and body awareness with this dynamic and social dance. No partner is necessary! tangojennifer@gmail.com. She will respond with the appropriate mailing address. Space is limited so please pre-register to guarantee your space! For more information, please contact Jennifer Olson at tangojennifer@gmail.com or (971) 219-7075. In this class we will explore the fundamentals on a deeper level as well as get a bit crazy - taking "basic" movements and turning them into something not regularly seen on the dance floor in the States. No partner is necessary. @ eXit Space near Green Lake (414 NE 72nd Street, Seattle, WA, 98115) *Workshops will take place in STUDIO TWO. A continuation of the first milonga class, we will delve a bit deeper into the numerous options available so that you will be excitedly looking for a partner the next time your ears perk up to a milonga. This class may be taken individually from Part 1, but it is recommended to be taken after Part 1 for maximum success. In this class, we will work with the unique timing of vals. 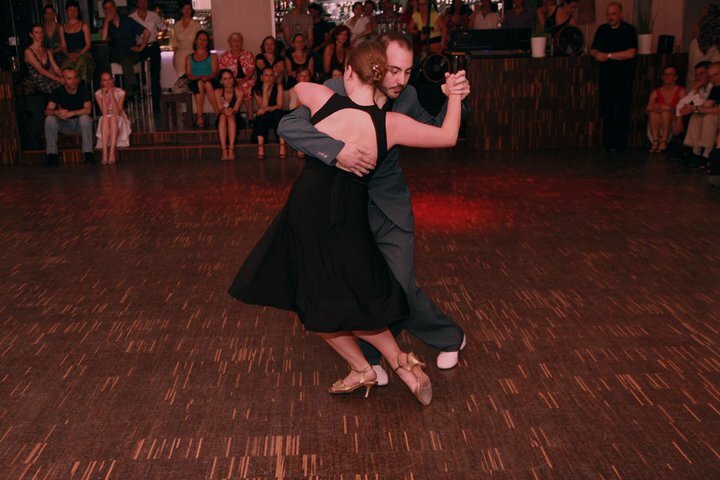 Twirl your way around the dance floor to some of the most romantic music tango has to offer! Sacadas are not just a movement that leaders do to the followers, it can also be done in reverse - follower to leader. Come learn how to lead/follow one of the quintessential movements of Argentine Tango. "Colgar" means "to hang" in spanish. In this class, we will work on movements that use negative energy as opposed to our usual, forward energy. A little bit of colgada in the right place can really brighten up one's dance. Please pre-register BELOW via the appropriate PayPal button (fee applies). If you prefer to mail a check, please email Jennifer at tangojennifer@gmail.com with your selection of classes and name/s of the students. She will respond with the appropriate mailing address. For more information, please contact Jennifer Olson at tangojennifer@gmail.com or (971) 219 - 7075. In their dance and teaching, Martín and Jennifer give emphasis to the connection in the couple, musicality, and the ability to improvise freely. These three themes make up the core basis of their creation of tango. Furthermore, they seek to achieve a balance with the amount of information provided in the lessons with respect to how much the students can understand and incorporate - always caring not to lead the students to the point of frustration. While at times Martín and Jennifer teach "steps," they are only used as an excuse to open the door to musical interpretation, improvisation, and the improvement of one's technique. What is a guided practica? A guided practica is a space where you can come practice with your dance partner or others attending, all under the guidance of BOTH Martín and Jennifer. 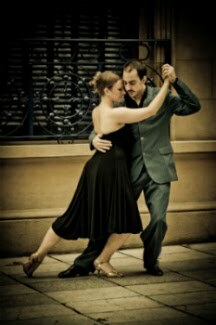 Martín and Jennifer will be answering questions and walking around offering tango advice to couples dancing. In essence, it is a private lesson that is shared with all who attend. No partner is necessary. Location: the Salsa Con Todo dance studio in Fremont (750 North 34th Street, Seattle, WA 98103), only two blocks from the Fremont PCC! For more information, please email tangojennifer@gmail.com or call (971) 219-7075. Please note that floor fees are not included in the rates listed above. You may also pay via PayPal, but an additional fee applies. Please contact Martín and/or Jennifer to schedule privates at martinyjennifer@gmail.com or (971) 219-7075. Jennifer sells Comme Il Faut, NeoTango, and Great Flora tango shoes throughout the Seattle, WA area and on her travels. She also ships throughout the United States. Please contact her at tangojennifer@gmail.com or 971.219.7075 if you would like to purchase a pair or inquire further into what she has in stock (photo requests, etc.). WHO ARE MARTÍN AND JENNIFER? Martín Bel started learning tango at the age of 18 at "Estudio Dinzel" with Rodolfo and Gloria Dinzel. He has been greatly influenced by his studies with Julio Balmaceda and Corina de la Rosa, Carlos and Rosa Perez, Eduardo Pareja "Parejita," and Olga Besio, as well as Gustavo Naveira and Giselle Anne. Additionally, Martín has a working knowledge of modern and contemporary dance through his studies with Cristian Barnils, Ines Armas, and Soledad Alfaro. Martín started teaching in 2007 when he assisted Julio Balmaceda and Corina de la Rosa at the prominent CITA festival in Buenos Aires, Argentina. Since then, he has taught regularly in Buenos Aires at Estudio Postango and Club Fulgor de Villa Crespo (Practika 8/Milonga 10). Martín has performed at many of the major milongas in Buenos Aires including Salon Canning, Club Villa Malcolm, Club Fulgor de Villa Crespo, Club 25 de Mayo, Viejo Correo, and Parakultural, as well as in a number of cities in Europe. 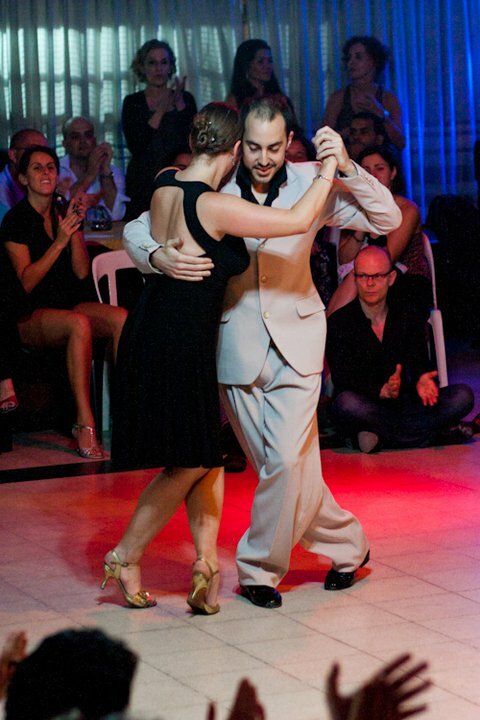 Additionally, Martín was a finalist at the Tango Salon World Championship in Buenos Aires in 2008 with Vanina Perez. Since the start of 2009, Martín has given workshops and performed in Europe (including Berlin, Germany; Hamburg, Germany; Cologne, Germany; Wuppertal, Germany; Paris, France; Amsterdam, Holland; Vienna, Austria; Zurich, Switzerland; Stockholm, Sweden; Edinburgh, Scotland; Madrid, Spain; and Budapest, Hungary) and Buenos Aires with Vanina Perez, Martine Dennewalk, Maria Ybarra, Paola Motillo, Jesica Arfenoni, and Jennifer Olson. 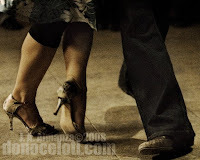 In Buenos Aires he organizes a weekly milonga called El Yeite Tango Club. He also organizes two tango festivals a year, one in March called El Yeite Tango Festival, and the second in August, called Agosto Festivalito - both in conjunction with El Yeite Tango Club. Starting her tango career in Portland (OR), tango has now taken Jennifer all over the world: to Europe , to Argentina and Uruguay, and extensively throughout the United States and Canada. Without a home and constantly on tour for the last seven years, Jennifer is happy to continue spreading her love of tango where ever she goes. During her travels, she taught at festivals and gave workshops in places such as Buenos Aires, Argentina (where she has lived for over a year); Montevideo, Uruguay; Palma De Mallorca, Spain; Madrid, Spain; Paris, France; Stockholm, Sweden; Zurich, Switzerland; Budapest, Hungary; Vienna, Austria; Hamburg, Germany; Berlin, Germany; London, England; Edinburgh, Scotland; Toronto, Canada; Montreal, Canada; Portland, OR; Seattle, WA; Denver, CO; New York City, NY; Washington D.C.; Atlanta, GA; Boston, MA; Princeton, NJ (at Princeton University); New Haven, CT (at Yale University); and St. Louis, MO just to name a few. Skilled in both leading and following, Jennifer frequently teaches alone, but has also taught regularly with known tango masters Alex Krebs, Robin Thomas, Evan Griffiths, Damian Lobato, and Martin Bel, with whom she currently partners. Jennifer's dance is characterized by her desire to strive for versatility. Since tango is a social dance, she believes it is integral to master not only close and open embrace, but also everything in-between. Furthermore, after having a connected and comfortable embrace, nothing is more important to Jennifer than the music. This is transmitted in her teaching, as she approaches every class with a strong command over the music. Jennifer is available for private and group lessons, djing, and performances. She also sells Comme Il Faut and NeoTango tango shoes.